It’s either Ignorance, Stupidity or Greed!!! 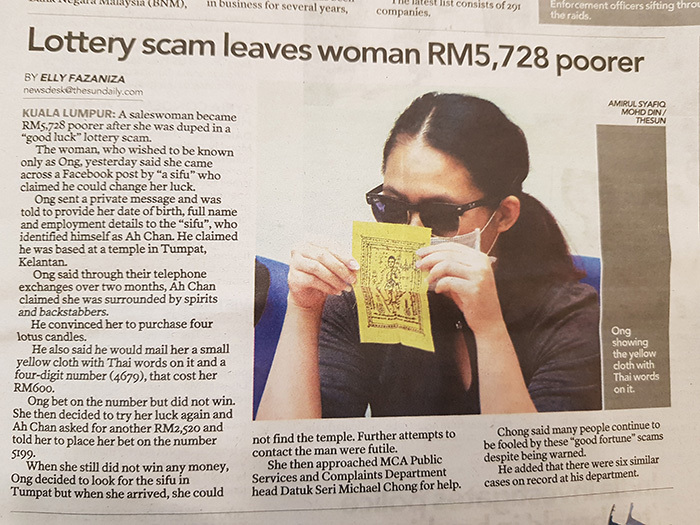 If the monk or bomoh or Archan karawat have such abilities, they would have won all the bets/lotteries themselves. Why would they even give you the SURE win bet and hope that you give them money after winning. We also have to admit our own stupidity or ignorance or greed, don’t blame others.